Married Mai Satoda in March 2012…Mai is a well-known singer and pop star in Japan…the couple has a son...Attended Komazawa University Tomakomai High School…over the course of his high school career (2004-06), struck out 458 batters, surpassing Daisuke Matsuzaka's previous national high school record with Yokohama Senior High School (423K)…in the summer of his junior year, was the top pitcher in the Summer Koshien Tournament and was chosen to represent the Japanese team at the U18 Asia Baseball Championships…led Tomakomai to the Meiji Jingu Tournament in the fall of his junior year…began playing baseball in first grade as a catcher…did not pitch until junior high school...Was selected to the All-Japan team in 2006 and traveled to play an American All-Star team…while on the trip, visited the original Yankee Stadium and met then-Yankees outfielder Hideki Matsui...On 9/25/06, the Nippon Ham Fighters, Orix Buffaloes, Yokohama Baystars and Tohoku Rakuten Golden Eagles all selected him as their first-round draft pick…Rakuten won the lottery and the rights to negotiate with him…signed with the Golden Eagles on 11/2/06…was given uniform No. 18, the traditional number given to the ace pitcher of a professional team in Japan. Went 12-6 with a 3.75 ERA (156.0IP, 141H, 68R/65ER, 35BB, 159K, 25HR) and one complete game in 27 starts…held opponents to a .240 BA (141-for-588, 25HR); LH .236 (61-for-259, 8HR), RH .243 (80-for-329, 17HR)…the Yankees were 16-11 in his starts…had a 2.6 WAR and 4.01 FIP (FanGraphs)...Ranked seventh among AL pitchers (min. 150.0IP) in K/BB ratio (4.54) and ninth in BB/9.0IP ratio (2.02)...Among pitchers with at least 150.0IP, led the AL and ranked third in the Majors with a 37.6% "chase rate" (FanGraphs)…his 14.1% swinging strike rate was sixth-highest in the AL (ninth-highest in the Majors)…had a 68.2% first-strike rate, third in the AL...Was placed on the 10-day D.L. from 6/9-7/10 with mild left and right hamstring strains…made one rehab start with Triple-A Scranton/Wilkes-Barre on 7/4 vs. Buffalo (5.0IP, 3H, 2ER, 0BB, 4K, 1HR)...Was 7-1 with a 3.47 ERA (85.2IP, 33ER) in 15 road starts…his .875 road winning percentage was the best by a Yankee (min. 8 decisions) since Jimmy Key went 10-0 in 1994…was tied for the third-best mark in the Majors in 2018 behind St. Louis' Miles Mikolas (10-0) and Cleveland's Shane Bieber (7-0)…went 7-0 in his first 14 starts before a loss on 9/26 at Tampa Bay, tied for the sixth-longest road unbeaten streak in Yankees history...Went 5-5 with a 4.09 ERA (70.1IP, 32ER) in 12 home starts...From 4/23-8/5, went 7-0 with a 3.12 ERA (80.2IP, 28ER) over 14 starts, the longest unbeaten streak of his career…was tied for the longest streak in the Majors in 2018…was the third-longest unbeaten streak by a Yankee since 2005 (Iván Nova-20, CC Sabathia-15)...Had the two longest scoreless streaks of his career: 21.1IP from 7/15-8/5 and 20.0IP from 9/1-14…Elias confirmed that he is the first Yankees pitcher to record multiple scoreless streaks of at least 20.0IP in a single season since Ron Guidry in 1983 (22.2IP, 5/11-22/83; 21.1IP, 5/27-6/6/83)…the 21.1-inning streak was the longest single-season streak by a Yankee since CC Sabathia's 23.2-inning streak from 6/30-7/10/2011...In 12 starts after the All-Star break, went 5-4 with a 2.85 ERA (72.2IP, 23ER), the AL's seventh-lowest ERA (min. 50.0IP)…was 7-2 with a 4.54 ERA (83.1IP, 42ER) in 15 starts prior to the break...Allowed a .224 BA (26-for-116) with RISP…opponents hit .232 (53-for-228) the first time through the lineup, .217 (48-for-221) the second time through the lineup and .292 (38-for-130) the third time through the lineup…batters hit .173 (31-for-179) with 6HR and 54K in at-bats ending with a slider (Brooks Baseball)...His 5.88 run-support average was ninth-highest in the Majors (min. 150.0IP)...On 3/30 at Toronto and 4/5 vs. Baltimore, became the first Yankee since 1908 (and just the eighth MLB pitcher) to record at least 7K and not walk a batter in each of his first two starts of a season...In 7/24 win at Tampa Bay, tossed a three-hit shutout (1BB, 9K), his third career shutout and sixth career complete game…was the first Yankee to allow 3H-or-fewer with at least 9K in a CG SHO since Mike Mussina on 8/17/03 at Baltimore…retired the first 12 batters of the game…his three shutouts are third-most among Japanese-born players (Hideo Nomo-9, Hiroki Kuroda-5)...Went 0-3 in five August starts, the first winless month in his Major League career...In 9/7 win at Seattle, recorded a season-high 10K over 8.0 shutout innings (3H, 0BB) and retired 24-of-27 batters…was his fifth game with at least 10K and 0BB, tied with David Cone and Luis Severino for second-most in Yankees history (Mike Mussina-7)...Went 0-3 with a 7.24 ERA (13.2IP, 17H, 11ER, 3BB, 19K, 5HR) in four spring training starts. Went 13-12 with a 4.74 ERA (178.1IP, 180H, 100R/94ER, 41BB, 194K, 35HR) and one complete game in 30 starts for the Yankees…held opponents to a .257 BA (180-for-700); LH .252 (75-for-298), RH .261 (105-for-402)…had a 2.7 WAR and 4.34 FIP (FanGraphs)... Was placed on the 10-day D.L. from 8/12 (retroactive to 8/10) to 8/22 with right shoulder inﬂammation... Ranked eighth in the AL in strikeouts, seventh in K/9.0IP ratio (9.79), fourth in K/BB ratio (4.73) and third in BB/9.0IP ratio (2.07)... Batters swung at 37.8% of his pitches outside the strike zone, highest in the Majors (FanGraphs)... his career-high 15.1% swinging strike rate was third-highest in the Majors... Allowed 35HR, tied for third-most in the AL and tied for fourth in the Majors…was tied with Phil Hughes (35 in 2012) for the second-highest single-season total in Yankees history behind Ralph Terry (40 in 1962)... Over his ﬁnal 16 starts (6/23-end of season), went 8-5 with a 3.54 ERA (101.2IP, 40ER)…over his ﬁrst 14 starts, was 5-7 with a 6.34 ERA (76.2IP, 54ER)... Became the ﬁrst pitcher in Yankees history to record at least 14K in a start twice in the same season (15K on 9/29 vs. Toronto, 14K on 7/28 vs. Tampa Bay), as well as at least 13K in a start three times in a season (also 13K on 5/26 vs. Oakland)…joins David Cone (6/23/97 at Detroit-16K, 6/7/98 vs. Florida-14K) and Ron Guidry (7/11/87 vs. Chicago-AL-14K, 6/17/78 vs. California-18K) as the only pitchers with multiple 14K starts during their Yankees careers…is one of four AL pitchers to record 14K and 0BB in multiple starts in a single season, joining Texas' Yu Darvish (3x in 2013), Boston's Roger Clemens (3x in 1997) and Boston's Pedro Martinez (2x in 1999 and 2x in 2000)... Went 9-5 with a 3.22 ERA (95.0IP, 34ER) in 15 home starts... tied for ﬁfth in the AL in home wins... allowed one-or-zero earned runs in 9-of-15 home outings... completed 6.0IP in 12-of-15 home starts... his 112K were the third-highest total in a season at the current Yankee Stadium... allowed exactly 1ER in four straight home starts from 7/28-9/2, tied for the longest streak of starts with 1ER-or-fewer at the current Yankee Stadium (also CC Sabathia twice: 6/25-7/26/11 and 9/26/09-5/18/10)... became the ﬁrst pitcher to win seven consecutive starts at the current Yankee Stadium (8/7/16-5/2/17)... was the longest streak of winning home starts since Roger Clemens won seven straight from 4/29-7/23/01…won nine straight decisions from 6/24/16-5/2/17, the second-longest streak by a starter at Yankee Stadium (CC Sabathia 16-0 over 21 starts from 7/18/09-9/2/10)... Went 10-6 with a 3.93 ERA (130.2IP, 57ER) in 20 night starts and 3-6 with a 6.99 ERA (47.2IP, 37ER) in 10 day starts…was 0-5 with a 14.81 ERA (20.2IP, 34ER) in his ﬁrst six day starts and 3-1 with a 1.00 ERA (27.0IP, 3ER) in his last four... Had the second-highest run support average (6.51) in the Majors (Boston's Drew Pomeranz-6.63)... started seven of the 21 games in which the Yankees have scored double-digit runs... In 4/2 loss at Tampa Bay, made his third consecutive Opening Day start... Won ﬁve consecutive starts from 4/14-5/8, then lost ﬁve consecutive starts from 5/14-6/6…was the third Yankees pitcher since 1913 to win at least ﬁve consecutive starts and lose at least ﬁve consecutive starts within the same season, joining Bob Turley (5-0, 0-5) in 1955 and Bullet Joe Bush (5-0, 0-5) in 1924…Tanaka is the only one to have one streak immediately follow the other... In 4/27 win at Boston, threw the second shutout of his career, allowing just 3H and facing just two batters over the minimum (0BB, 3K)…needed just 97 pitches (72 strikes)... marked his fewest hits allowed in a complete game (previously 4H in his other CGSHO on 5/14/14 at the Mets)... was the ﬁrst complete game by a Yankees starter since Tanaka in a 4-1 win on 8/15/15 at Toronto, a 228-game span…was the ﬁrst complete-game shutout by a Yankee since Brandon McCarthy on 8/21/14 vs. Houston... snapped a streak of 380 consecutive starts by the Yankees without a CGSHO (the Yankees' franchise record is 414 games without a CGSHO)…was the ﬁrst complete-game shutout by a Yankee at Fenway Park since Mike Mussina on 8/28/02... was the ﬁrst Yankee to toss a nine-inning complete-game shutout in fewer than 100 pitches since David Wells (96 pitches) on 4/10/03 vs. Minnesota... Was the ﬁrst nine-inning complete-game shutout by a Yankee with 0BB and no more than 3H since Mike Mussina on 8/17/03 at Baltimore (9.0IP, 3H, 0BB, 9K)…was the ﬁrst such game by a Yankee at Fenway Park since Mussina's near-perfect game on 9/2/01 (9.0IP, 1H, 0BB, 13K)…was the ﬁrst Yankee to ﬁnish a nine-inning complete game while facing no more than 29 batters since Hiroki Kuroda on 8/14/12 vs. Texas (9.0IP, 2H, 0R, 2BB, 5K, 29BF)... In 5/26 loss vs. Oakland, set a then-career high with 13K (and 0BB) but took a loss in the Yankees' 4-1 defeat (7.1IP, 5H, 1ER)... was his eighth career double-digit strikeout game... exited with a runner on ﬁrst and one out in a 0-0 game, and was charged with an earned run that scored against the bullpen... tied a Yankees record for most strikeouts while taking a loss (third time, also Roger Clemens twice: 5/28/00 vs. Boston-13K; 6/17/99 vs. Texas-13K)... In 6/17 loss at Oakland, became the first pitcher in Yankees history to record 10K without completing 5.0IP (4.0IP, 8H, 5ER, 1BB, 10K, 3HR, 1WP)... was the seventh pitcher in Major League history to last 4.0IP-or-less in a game with double-digit strikeouts…only Cleveland's Danny Salazar recorded fewer outs (10K in 3.2IP on 4/10/14 at Chicago-AL)... was also the ﬁrst pitcher in Major League history to strike out 10 batters and allow 3HR in a start of 4.0IP-or-less... In 6/23 win vs. Texas, tossed 8.0 scoreless innings (3H, 2BB, 9K) but took a no-decision... matched up against Rangers starter Yu Darvish in the 15th game in Major League history in which both starting pitchers were born in Japan... marked the ﬁrst time that Tanaka and Darvish matched up stateside after four meetings in NPB from 2007-11…Darvish also threw 7.0 scoreless innings as the two pitchers combined for 15.0 scoreless innings (5H, 2BB, 19K)…the Yankees are 6-1 all-time in seven games involving two Japanese starters... In 7/28 win vs. Tampa Bay, set a then-career high with 14K (8.0IP, 2H, 1ER, 0BB, 1HR)…was the second Yankee to record at least 14K and 0BB in a game (Michael Pineda-16K, 0BB on 5/10/15 vs. Baltimore)…retired the ﬁrst 17 batters of the game before Adeiny Hechavarria's two-out single in the sixth broke up the perfect game bid... Recorded his 500th career strikeout on 5/31 at Baltimore (Manny Machado in the third inning)... was the 27th Major League pitcher since 1913 to reach 500K by his 86th career game... Made his 100th Major League start on 8/27 vs. Seattle…recorded his 600th career strikeout... In 9/29 win vs. Toronto, set a new Major League career high with 15K over 7.0 shutout innings (3H, 0BB)…became the seventh Yankees pitcher to record at least 15K in a game…was the second-highest strikeout total without a walk in Yankees history (Michael Pineda, 16K on 5/10/15 vs. Baltimore)…was the ﬁrst Yankees pitcher to record at least 15K with 0BB in a scoreless start, the 21st such game (18th diﬀerent pitcher) in Major League history…was the highest strikeout total by an AL pitcher in 2017, one of two 15K games in the Majors (Washington's Stephen Strasburg, 15K on 5/27/17 vs. San Diego)…was tied for the third-highest single-game strikeout total by a Japanese pitcher (Nomo-17K on 4/13/96 with the Dodgers vs. Florida and 16K on 6/14/95 with the Dodgers at Pittsburgh; Darvish-15K on 8/12/13 with Texas at Houston)…struck out six of his ﬁrst eight batters, 8-of-11, 10-of-14, 12-of-18 and 13-of-19... retired the ﬁrst 14 batters before allowing an inﬁeld single by Ezequiel Carrera with two outs in the ﬁfth... Made three postseason starts on the Yankees' run to the ALCS, going 2-1 with a 0.90 ERA (20.0IP, 10H, 2ER, 3BB, 18K)…was the ﬁfth-lowest ERA by a Yankee in one postseason (min. 18.0IP)…was the third Yankees pitcher to record multiple scoreless starts of at least 7.0IP in a single postseason, joining Roger Clemens (2000) and Whitey Ford (1960)…was the ﬁfth pitcher in Baseball history with multiple scoreless starts with at least 7.0IP and 3H-or-fewer in one postseason, joining San Diego's Kevin Brown (1998), the Yankees' Roger Clemens (2000), Arizona's Randy Johnson (2001) and Detroit's Kenny Rogers (2006)... In ALDS Game 3 vs. Cleveland, tossed 7.0 scoreless innings (3H, 1BB, 7K) to earn his ﬁrst career postseason win…was the ﬁrst Yankee to record 7.0 scoreless innings with at least 7K in the postseason since Roger Clemens in 2000 World Series Game 2 vs. the Mets (8.0IP, 9K)…took the loss in ALCS Game 1 at Houston (6.0IP, 4H, 2ER, 1BB, 3K)…tossed 7.0 shutout innings (3H, 1BB, 8K) in a win in ALCS Game 5 vs. Houston... Went 3-1 with a 0.38 ERA (23.2IP, 9H, 2R/1ER, 5BB, 28K) in six spring starts, posting the best ERA in the Majors…also ﬁnished ﬁrst in WHIP (0.59) and tied for sixth in strikeouts…began the spring with an 18.2-inning scoreless streak. In his third season with the Yankees, went 14-4 with a 3.07 ERA (199.2IP, 179H, 75R/68ER, 36BB, 165K, 22HR, 3HP, 7WP) in 31 starts…set career highs in wins, innings pitched, starts, strikeouts and quality starts (19)…opponents hit .236 (179-for-759); LH .237 (88-for-372), RH .235 (91-for-387)…was sixth among AL pitchers with a career-best 4.6 WAR (FanGraphs), the highest by a Yankees pitcher since CC Sabathia's 4.7 in 2012. Ranked third in the AL in ERA behind Toronto's Aaron Sánchez (3.00) and Detroit's Justin Verlander (3.04)…was the lowest ERA by a qualifying Yankees pitcher since CC Sabathia's 3.00 mark in 2011…also ranked third in the AL in opponents' OBP (.272) and BB/9.0IP ratio (1.62), fourth in K/BB ratio (4.58), fifth in winning percentage (.778), WHIP (1.08) and FIP (3.48), sixth in opponents' OPS (.645), eighth in opponents' BA and slugging percentage (.373), ninth in HR/9.0IP ratio (0.99), 10th in innings pitched and tied for 10th in quality starts. Led the AL with a 2.34 road ERA (104.0IP, 92H, 33R/27ER, 19BB, 75K, 9HR), while going 7-3 in 16 road starts…trailed only the Mets' Noah Syndergaard (2.29) among Major League pitchers…was the lowest mark by a Yankee since Ron Guidry had a 1.69 road ERA in 1978…faced his first 239 batters on the road before allowing his first HR to Tyler Naquin on 7/10 at Cleveland…allowed one-or-zero earned runs in six consecutive road starts from 5/5-7/5, tied for the fourth-longest streak in Yankees history; was 4-1 with a 0.62 ERA (43.2IP, 3ER) during this streak. Had 13 no-decisions, tied for third-most among Major League starters, behind Tampa Bay's Jake Odorizzi (17) and teammate Michael Pineda (14). The Yankees were 23-8 in his 31 starts, tied for the sixth-most team wins in a pitcher's starts in the Majors in 2016…were the most team wins in a Yankees pitcher's starts in one season since 2010, when the club went 23-11 in CC Sabathia's 34 starts…the team won seven consecutive Tanaka starts twice (6/17-7/22 and 8/7-9/10), the longest such streaks by a Yankees pitcher since they won 12 consecutive starts by Ivan Nova from 6/10-9/2/11. Went 6-1 with a 2.27 ERA (79.1IP, 20ER) in 12 starts vs. AL East opponents, the second-lowest intradivision ERA in Yankees history (min. 10 starts), behind Ron Guidry's 2.16 ERA in 1978…allowed 2R-or-fewer in 10-of-12 starts. Was 4-3 with a 3.71 ERA (87.1IP, 36ER) in 14 starts on regular four days' rest…allowed one-or-zero runs in five of his six starts on regular rest after the All-Star break, going 3-1 with a 1.64 ERA (38.1IP, 7ER). Allowed 2ER-or-fewer in 21 of his 31 starts this season, tied for the third-most such starts by an AL pitcher (Justin Verlander-23, Jake Odorizzi-22)…marked the most such starts by a Yankee since Mike Mussina had 21 in 2008…only one Yankee since 1979 has had more in one season (Andy Pettitte, 22 in 1997)…allowed 2ER-or-fewer in each of his first six starts, the second-longest season-opening streak by a Yankees pitcher since 2011 (Michael Pineda, first nine starts in 2014). Was 7-0 with a 2.83 ERA (70.0IP, 22ER) in 11 day starts. In 13 starts following a Yankees loss, was 6-1 with a 1.91 ERA (85.0IP, 18ER), with the Yankees going 10-3. Had a 1.16 ERA in the first inning (31.0IP, 4ER). According to Brooks Baseball, batters hit .166 (37-for-223) with 58K in at-bats ending with a splitter…opponents swung at 36.5% of his pitches outside the zone, the highest rate in the AL and second-highest in the Majors, and at 50.0% of his pitches overall, the fourth-highest rate in the AL (FanGraphs). Was unbeaten in his first 10 starts of the season before taking his first loss on 6/1 at Toronto…went 3-0 with a 2.89 ERA (65.1IP, 21ER) during the streak…was the longest unbeaten streak by a Yankees starter to begin a season since Orlando Hernández went 8-0 in his first 13 starts in 2004 (Hernández began the season on the D.L. and made his first start in July)…Tanaka's streak was the longest to begin a season by a Yankees starter who opened the year in the rotation since Bob Wickman went 8-0 through 13 starts in 1993. On 4/5 vs. Houston, made his second consecutive and second career Opening Day start…became the first Yankees right-hander to make consecutive Opening Day starts for the club since Roger Clemens from 2001-03. On 4/17 vs. Seattle and 8/24 at Seattle, Tanaka and Mariners RHP Hisashi Iwakuma faced each other in the 12th and 13th games in Major League history featuring two Japanese-born starting pitchers…Tanaka earned the win in both starts, as the Yankees are 5-1 all-time in six games involving two Japanese starters…the two pitchers were teammates on the Tohoku Rakuten Golden Eagles from 2007-11, as the games marked the first instances of two Japanese former NPB teammates starting against one another in a Major League game. On 5/5 at Baltimore (8.0IP, 5H, 0R, 1BB, 7K), recorded his third career start of at least 8.0 shutout innings and his first since a four-hit complete game shutout on 5/14/14 at the Mets. Went 4-1 with 3.00 ERA (39.0IP, 34H, 14R/13ER, 1BB, 38K, 5HR) in six starts in August…was the fourth pitcher in Major League history to record at least 38K with one-or-zero walks in a calendar month, joining Seattle's Hisashi Iwakuma (39K/1BB in July 2014), Philadelphia's Cliff Lee (54K/1BB in September 2013) and Arizona's Javier Vázquez (39K/0BB in May 2005). From 8/7-19, became the first pitcher in Yankees history (and one of nine in Major League history) to record at least 8K and 0BB in three consecutive starts…is the first pitcher in AL history (and the second in Major League history) to record at least 8K with no walks and earn a win in three consecutive starts (Clayton Kershaw, 7/8-23/15)…according to Elias, from 8/7-24, became the first pitcher in Yankees history to record at least 30K with 1BB-or-fewer over a four-start span while winning all four starts…from 8/2-19, went a career-best four consecutive starts without a walk. Had a career-best 17.2-inning scoreless streak from 8/13-30. Allowed a career-high 4HR in a win on 9/21 at Tampa Bay (6.0IP, 7H, 4ER, 2BB, 5K)…tied a franchise record for most HRs allowed in a win (seventh time, first since Orlando Hernández on 4/23/00 at Toronto)…all 4HR were hit in the third inning, as he became the first Yankees pitcher to allow 4HR in an inning since Chase Wright on 4/22/07 at Boston…had allowed a total of just 4HR in his previous eight starts combined. Did not record a strikeout for the first time in his career on 9/15 at Boston (7.0IP, 4H, 1ER, 3BB, 0K)…became the first Yankee to pitch at least 7.0IP and allow one-or-zero runs without a strikeout since Matt DeSalvo on 5/7/07 vs. Seattle (7.0IP, 1ER, 0K). Finished the season on a career-best seven-game winning streak (8/7-end of the season) while logging a 2.28 ERA (59.1IP, 15ER) over the nine-start span. Was scratched from his final two scheduled starts with a mild strain to the flexor mass in his right forearm. Was 1-1 with a 7.36 ERA (11.0IP, 16H, 9ER, 2BB, 9K, 3HR, 2HP) in four official Major League spring training starts…also threw 4.0IP in a game that was rained out on 3/29 at Philadelphia. Went 12-7 with a 3.51 ERA (154.0IP, 60ER) and one complete game in 24 starts...was tied for second on the team in wins...recorded a 2.2 WAR (FanGraphs)...ranked eighth in the AL (min. 150.0IP) with a 3.29 xFIP and posted a 3.98 FIP...allowed a .221 (126-for-571, 25HR) opponents' average; LH .223 (60-for-269, 13HR), RH .219 (66-for-302, 12HR)...the Yankees went 15-9 in his 24 starts...Was placed on the 15-day D.L. on 4/29 with right wrist tendinitis and a right forearm strain and reinstated on 6/3 prior to his start that day at Seattle...made two rehab starts with Triple-A Scranton/WB, going 0-0 with a 4.50 ERA (6.0IP, 3ER, 2BB, 6K, 1HR)...missed a start in late September after suffering a right hamstring strain while running out a groundball on 9/18 at the Mets...On 4/6 vs. Toronto, became the fourth Japanese-born pitcher in Major League history (and the first in Yankees history) to start on Opening Day...the others: Hideo Nomo (3x-2000 w/ Detroit, 2003-04 w/ Los Angeles-NL), Daisuke Matsuzaka (2008 w/ Boston) and Hiroki Kuroda (2009 w/ Los Angeles-NL)...at 26 years and 156 days, Tanaka was just the second Yankees pitcher under age-27 to start on Opening Day since 1975 (Andy Pettitte, 25 years, 290 days in 1998)...had started only once on Opening Day during his seven-year career with the Tohoku Rakuten Golden Eagles in Japan (2012)...His 0.99 WHIP led the AL and was sixth-lowest in the Majors (min. 150.0IP)...was the seventh pitcher in Yankees history to post a WHIP under 1.00 (min. 150.0IP) and one of just two since 1945, joining Ron Guidry (0.95 in 1978)... Among AL pitchers with at least 150.0IP, his .221 opponents' average was fifth-lowest...had the lowest opponents' OBP (.254) and second-lowest opponents' BABIP (.243)...His 1.46 HR per 9.0IP ratio (154.0IP, 25HR) ranked fourth-highest in the AL while his 16.9 pct. HR/FB rate was the highest (min. 150.0IP)...19 of his 25HR allowed were solo HRs...did not allow a three-run HR or grand slam until his final start of the season on 9/30 vs. Boston (three-run HR by Travis Shaw)...yielded just 4HR in his first seven starts...allowed a career-high 3HR three times...became the first Yankee since 2001 to allow 3HR in consecutive starts (6/21 vs. Detroit, 6/27 at Houston)...allowed 6R and a career-high 3HR in consecutive starts from 6/21-27, just the second Yankees pitcher since 1914 to allow at least 6R and 3HR in consecutive starts, joining Orlando Hernandez (5/25/01 and 8/21/01)...Went 7-4 with a 3.71 ERA (87.1IP, 36ER) in 14 home starts...won four consecutive home starts from 7/9-8/4...opponents batted .222 (72-for-325) against him at Yankee Stadium...made nine consecutive quality starts at home from 7/3-9/13, going 5-2 with a 2.79 ERA (61.1IP, 19ER) during the streak... marked the longest QS streak by a Yankee in 2015 and was tied for the seventh-longest home QS streak in the Majors...Went 5-3 with a 3.24 ERA (66.2IP, 24ER) and one complete game in 10 road starts...completed at least 6.0IP in 9-of-10 starts and allowed 2R-or-fewer in 6-of-10...his .220 (54-for-246) opponents' BA on the road was fifth-lowest in the AL (min. 225AB)...went 2-0 with a 0.89 ERA (20.1IP, 2ER) in his first three road starts, the first Yankees pitcher to throw at least 6.0IP with 1R-or-fewer in his first three road starts of a season since Dock Ellis (three straight) in 1976...Led the Yankees with 17 quality starts, the lowest total to lead the club since 2004, when Jon Lieber and Javier Vazquez had 16 QS apiece...from 7/3-9/18, threw at least 6.0IP in 14 consecutive starts, tied for the second-longest streak by an AL pitcher in 2015 (Dallas Keuchel-29)...Ranked fourth among AL pitchers (min. 150.0IP) with a 1.58 BB per 9.0IP ratio (154.0IP, 27BB) and fifth with a 5.15 K/BB ratio (139K, 27BB)... issued 1BB-or-fewer in each of his final seven starts (5BB total), the longest such streak of his career...his six starts of at least 7.0IP and no walks were tied for most in the AL...went 7.0IP without a walk in three consecutive starts from 6/3-15, marking the longest such streak by a Yankees pitcher since David Wells had four consecutive starts from 9/12-28/03...Had a 5.84 run support average, eighth-highest in the Majors (min. 150.0IP)...was 12-0 in 14 starts with at least 3R of support and 0-7 in 10 starts with 2R-or-fewer...received at least 9R in five starts (all wins)...His streak of four consecutive starts of at least 6.0IP and no more than 5H or 1R from 4/18-6/9 matched the longest such streak by a Yankees pitcher since 1914 (seventh time), first since Orlando Hernandez had four straight from 8/3-18/98...Allowed 2H over 7.0 shutout innings on 4/18 at Tampa Bay (7.0IP, 2H, 0R, 0BB, 8K), retiring 21-of-23 batters, including 15 straight from the first through fifth innings...marked just the 11th start by a Yankees pitcher since 1914 with at least 7.0 scoreless innings, two-hits-or-fewer, no walks and at least 8K...in his first start off the D.L. on 6/3 at Seattle, allowed just 3H and 1ER over 7.0IP (0BB, 9K)...was just the second Yankees pitcher in the last 10 seasons (since 2006) to post a line with at least 7.0IP, 3H-or-fewer, no walks and at least 9K (Hiroki Kuroda on 9/25/14 vs. Baltimore)...threw the Yankees' lone 9.0-inning complete game on 8/15 at Toronto (5H, 1ER, 3BB, 8K)...had 10K on 9/8 vs. Baltimore, his sixth career double-digit strikeout game (8.0IP, 6H, 1ER, 1BB, 10K)... marked the sixth time since 1914 that a Yankees starter pitched at least 8.0IP, allowed 1R-or-fewer and had at least 10K but did not earn a win...When John Ryan Murphy replaced Brian McCann in the second inning on 6/3 at Seattle, it marked the first time in Tanaka's Major League career that he pitched to a catcher other than McCann...he had McCann as his starting catcher for each of his first 32 career starts (through his 7/17 start), becoming the first Yankees pitcher in the last 100 years to make his first 32 MLB starts all with the same catcher (credit: Elias)...was the longest such streak in the Majors since the Dodgers' Chad Billingsley (first 36 career starts from 2006-07 with Russell Martin)...Made his MLB postseason debut in the AL Wild Card Game, taking the loss in the Yankees' 3-0 defeat vs. Houston (5.0IP, 4H, 2ER, 3BB, 3K, 2HR)...allowed leadoff solo HRs to Colby Rasmus in the second and Carlos Gomez in the fourth...Went 1-2 with a 3.07 ERA (14.2IP, 13H, 6R/5ER, 1BB, 64K) in four starts in spring training...On 10/20/15, had arthroscopic surgery to remove a bone spur from his right elbow...the bone spur was pre-existing, dating back to his pitching career in Japan...the procedure was performed by Dr. David Altchek at the Hospital for Special Surgery in New York. Made 20 starts in his ﬁrst MLB season, going 13-5 with a 2.77 ERA (136.1IP, 42ER)…marked the lowest ERA for a Yankees rookie pitcher (min. 15GS) since Dave Righetti was 8-4 with a 2.05 ERA (105.1IP, 24ER) in 1981... Led the Yankees in wins and complete games (3), also ranking second in starts, innings and strikeouts... Among all Major League rookies, Tanaka ranked ﬁrst in complete games, third in wins and ninth in inningspitched…no other rookie pitcher recorded more than one complete game…among MLB rookies who recordedat least 100.0IP, Tanaka ranked ﬁrst in strikeout-to-walk ratio (6.71) and walks per 9.0IP (1.39), second in strikeoutsper 9.0IP (9.31), third in ERA (2.77) and fourth in opponents' batting average (.240)... Was selected via the Player Ballot to attend his ﬁrst All-Star Game…was one of three Yankees chosen as AL All-Stars (also SS Derek Jeter and RHP Dellin Betances)…according to the Elias Sports Bureau, Tanaka and Betancesbecame the ﬁrst pair of teammates in Yankees history to be named to the All-Star Game as rookies…also according to Elias, Betances and Tanaka became the ninth and 10th Yankees rookies to earn an All-Star selection, joining Joe DiMaggio (1936), Joe Page (1944), Spec Shea (1947), Bobby Richardson (1957), Ryne Duren (1958), Tom Tresh (1962), Willie Randolph (1976) and Hideki Matsui (2003)... Recorded at least 6.0 innings in each of his ﬁrst 18 starts of the season…according to Elias, Tanaka became the ﬁrst pitcher to record at least 6.0IP in each of his ﬁrst 18 Major League starts since John Farrell (21 straight w/Cleveland from 8/21/87 - 6/6/88)…Elias also notes that Tanaka became the ﬁrst pitcher in franchise history torecord at least 6.0IP in each of his ﬁrst 18 MLB starts…became the ﬁrst pitcher to record at least 6.0IP in eachof his ﬁrst 18-or-more starts as a Yankee since Carl Mays did so from 1919-20 (also 18 GS)... Produced a quality start (at least 6.0IP and 3ER or fewer) in each of his ﬁrst 16 games, tied with Montreal's Steve Rogers (1973) for the longest such streak to begin a Major League career since earned runs became an oﬃcial stat in 1912 (credit: Elias)…Elias also notes that it was the longest streak of quality starts to begin aseason since Greg Maddux in 1994 (also 16)…tied CC Sabathia (6/3-8/22/10) for the longest streak of qualitystarts by a Yankee at any point in a career…no pitcher had produced a longer such streak since Seattle's FelixHernandez (17 straight from 6/13-9/5/10)... Recorded 10-or-more strikeouts in a game ﬁve times, the most such starts among MLB rookies…according to Elias, he joined Al Downing (8x in 1963) as the only Yankees rookies to produce three-or-more 10K games in a season... Became the ﬁrst Yankees rookie to record at least 3CG since Orlando Hernandez in 1998 (also 3CG)... Made his Major League debut in 4/4 win at Toronto (7.0IP, 6H, 3R/2ER, 1HR, 0BB, 8K)…according to Elias, he became the sixth pitcher since 1900 to earn a win in his Major League debut in which he pitched at least 7.0innings and recorded at least eight strikeouts without walking a batter…the only other Yankees pitcher toaccomplish the feat was Rich Beck on 9/14/65 at Washington (7.0IP, 8K)... Recorded 10K on 4/9 vs. Baltimore and on 4/16 vs. Chicago-NL…according to Elias, Tanaka became the ﬁrst rookiepitcher ever to register at least 10K in consecutive games for the Yankees…Elias also notes that Tanaka joinedWashington's Stephen Strasburg as the only two pitchers since 1900 to record at least 8K in each of their ﬁrst three MLB starts…recorded at least 10K and 7.0IP while walking one-or-fewer batters in consecutive starts, becomingonly the second Yankee to ever accomplish the feat (also David Wells on 9/1/98 vs. Oakland and 9/7/98 at Boston)...Recorded 11K in 4/27win vs. Los Angeles-AL, the most strikeoutsby a Yankees rookie pitcher since Orlando Hernandez had 13K on8/13/98 vs. Texas... Improved to 6-0 and recorded his ﬁrst MLBshutout in his eighthstart on 5/14 at NewYork-NL, leading theYankees to a 4-0 winat Citi Field…joined Andy Pettitte as the only Yankees starters to throw a complete-game shutout againstthe Mets (credit: Elias)…became the first Yankees rookieto begin his career6-0 as a starter sinceWhitey Ford went9-0 in 12 starts in1950…according to Elias, Tanaka became the ﬁrst pitcher since 1900 to strike out 60-or-more batters whileearning at least six wins in his ﬁrst eight appearances in the Majors…became the ﬁrst pitcher since 1900 tostrike out at least 60 hitters while allowing fewer than 10 walks in his ﬁrst eight career games (66K, 7BB)... Went 1-for-4 in 5/14 win at New York-NL, hitting a two-out single oﬀ Jose Valverde in the ninth inning…according to Elias, Tanaka became the ﬁrst pitcher to record his ﬁrst MLB shutout and ﬁrst base hit in the same gamesince Pittsburgh's Jeﬀ Karstens did so on 8/6/08 at Arizona…became the ﬁrst Yankees pitcher to accomplishthe feat since Ron Klimkowski on 9/18/70 at Detroit... Suﬀered his ﬁrst loss of the season on 5/20 in the Yankees' 6-1 defeat at Chicago-NL (6.0IP, 8H, 4R/3ER, 1BB,7K)…had been unbeaten in his previous 42 regular season starts (34-0) in Nippon Professional Baseball and Major League Baseball…marked his ﬁrst regular season loss since 8/19/12, when the Seibu Lions defeated the Rakuten Golden Eagles at the Seibu Dome... Was named the AL's "Pitcher of the Month" for May after going 5-1 with a 1.88 ERA (43.0IP, 9ER), one shutout, 6BB and 42K over six appearances…marked the ﬁrst monthly award for the Yankees since Ivan Nova wasvoted the AL's "Pitcher of the Month" in August 2013…became the ﬁrst Yankees rookie to win a "Pitcher of the Month" award since its inception in 1979…became the third Japan-born pitcher to win the award, joiningHideo Nomo (June 1995 and September 1996) and Hideki Irabu (May 1998 and July 1999)... According to Elias, Tanaka became only the ﬁfth pitcher since 1900 to record 100-or-more strikeouts throughhis ﬁrst 13 career Major League games (103K), joining Hideo Nomo-119K, Kerry Wood-118K, Herb Score-107Kand Jose DeLeon-106K... Improved to 11-1 and lowered his ERA to 1.99 following 6/17 win vs. Toronto…became the ﬁrst Yankees pitcher towin at least 11 of his ﬁrst 12 decisions in a season since Roger Clemens began the 2001 season with an 11-1 record... Was placed on the 15-day disabled list with right elbow inﬂammation on 7/9…was transferred to the 60-dayD.L. on 9/2…missed 65 games from 7/9-9/20... Returned from the 60-day disabled list on 9/21 and started that day vs. Toronto, earning his 13th win in a 5-2Yankees victory (5.1IP, 5H, 1ER, 0BB, 4K)…made his ﬁnal start in 9/27 loss at Boston (1.2IP, 7H, 7R/5ER, 2BB, 2K)... Made ﬁve oﬃcial spring training appearances (three starts) for the Yankees, going 2-0 with a 2.14 ERA (21.0IP,5ER)…earned the "James P. Dawson Award" as the Yankees' top rookie in spring training, as voted on by theclub's beat writers…led Yankees pitchers with 26 strikeouts (3BB, 15H). Went 24-0 with one save and a 1.27 ERA (212.0IP, 30ER) and 183K in 28 games (27 starts) with Rakuten… tossed eight complete games and two shutouts… led NPB in wins and ERA, setting an NPB record in victories. Earned the Pacific League MVP Award, was named to the "Best Nine" and won a Gold Glove Award. Was his third straight season with an ERA under 2.00… his 1.27 ERA was the thirdlowest in Pacific League history (fractionally higher than his ERA in 2011) and the sixth-lowest in NPB history. Earned the Sawamura Award as NPB's best pitcher at the conclusion of the season… was named "Pitcher of the Month" five times (May-September). Set a Rakuten club record for most consecutive wins to start the season with his ninth victory on 6/16… set an NPB record with his 16th straight win to open the season on 8/9… on 9/13 vs. the Orix Buffaloes, won his NPB-record 21st straight decision. Went 1-1 with a 2.37 ERA (19.0IP, 5ER) in three games (two starts) with 21K and 4BB in the Japan Series vs. the Yomiuri Giants… was given the honor of throwing the final pitches in Game 7 of the best-of-seven series, earning the save as Rakuten won its first title in franchise history. Prior to the season, pitched for Japan in the World Baseball Classic, allowing 2ER in 7.0IP over four appearances (one start)… recorded 12K without walking a batter. Was 10-4 with a 1.87 ERA (173.0IP, 36ER) in 22 starts with Rakuten... posted an ERA under 2.00 for the second straight year... led the Paciﬁc League with 169K and eight complete games and tied for the league lead with three shutouts... his 19BB were fewest among qualifying pitchers... recorded a 0.99 BB/9.0IP ratio... Won his second career Gold Glove Award (also 2011). Went 19-5 with a 1.27 ERA (226.1IP, 32ER) in 27 starts with Rakuten… struck out 241 batters with just 27BB… his 226.1IP and 241K marked his highest totals while playing in Japan… recorded 14 complete games, including six shutouts… of his 27 starts, 12 were scoreless... his 1.27 ERA was the second-lowest in Paciﬁc League history and ﬁfth-lowest since the advent of the two-league system in Japan... Won the Sawamura Award, given annually to NPB's best pitcher… led the Paciﬁc League in ERA and was tied for ﬁrst in wins and complete-game shutouts… led NPB in complete games... Was selected to the "Best Nine" and won the Gold Glove Award… with his catcher, the duo won the Most Valuable Battery Award... Won consecutive "Pitcher of the Month" Awards in June and July and a third award in October, becoming the ﬁrst pitcher ever to receive the award three times in the same season... Struck out 18 batters on 8/27 vs. Softbank, the second-most strikeouts in a single game in NPB history... Following the season, was chosen as the "Georgia Spirit Award" winner for 2011, a prize given annually from Georgia Can Coﬀee to the player who most "gives his all for his team." Was 11-6 with a 2.50 ERA (155.0IP, 43ER) in 20 starts with Rakuten… led the team in wins and ERA... Won his third career "Pitcher of the Month" award in May and led his team with eight wins in June. Went 15-6 with a 2.33 ERA (189.2IP, 49ER) in 25 appearances (24 starts) for Rakuten… led Rakuten pitchers and tied for second in the Paciﬁc League in wins… ﬁnished third in the league in ERA... Was named Paciﬁc League "Pitcher of the Month" for April, going 4-0 with a 0.50 ERA and 37K in four starts... Went 4-0 with four complete games over his ﬁrst four starts of the season…tossed a four-hit shutout vs. the Hawks on 4/7, allowed one run vs. the Chiba Lotte Marines on 4/14, tossed a three-hit shutout vs. the Marines on 4/22 and struck out 11 batters while allowing 1ER vs. the Fighters on 4/29… became the ﬁrst pitcher to start the season with four consecutive complete-game wins since 1993... Went 4-0 with a 1.44 ERA and 30K in August, winning his second career "Pitcher of the Month" Award... Made his ﬁrst career postseason start on 10/17 in the clinching game of the First Stage of the Climax Series vs. the Softbank Hawks, allowing 7H and 1ER with 9K in a complete-game win… on 10/23, made a start in an elimination game of the Second Stage with his team down 2-games-to-none against the Nippon Ham Fighters, tossing a complete-game win (6H, 2ER, 1BB, 6K) in Rakuten's only victory of the series... Prior to the season, pitched for the World Baseball Classic-champion Japan team, making four relief appearances and allowing 1ER in 2.1IP (3H, 1HR, 0BB, 5K)… pitched in the semiﬁnals against the United States team, allowing a triple to Jimmy Rollins before striking out David Wright. Went 9-7 with a 3.49 ERA (172.2IP, 67ER) in 25 appearances (24 starts) with Rakuten... With 159K in 2008 and 196K in 2007, became the ﬁrst high school draftee in Nippon Professional Baseball to reach 150K in two consecutive seasons since 1970... Made his ﬁrst career relief appearance on 6/22 in an Interleague game vs. the Hiroshima Carp, earning the save... Participated in the 2008 Beijing Olympics in August as a member of the Japanese national team, combining to toss 7.0 scoreless innings over three appearances. July 10, 2018 New York Yankees activated RHP Masahiro Tanaka from the 10-day injured list. July 4, 2018 New York Yankees sent RHP Masahiro Tanaka on a rehab assignment to Scranton/Wilkes-Barre RailRiders. June 9, 2018 New York Yankees placed RHP Masahiro Tanaka on the 10-day disabled list. Mild strains of left and right hamstrings. October 3, 2017 New York Yankees activated RHP Masahiro Tanaka. August 22, 2017 New York Yankees activated RHP Masahiro Tanaka from the 10-day disabled list. August 12, 2017 New York Yankees placed RHP Masahiro Tanaka on the 10-day disabled list retroactive to August 10, 2017. Right shoulder inflammation. June 3, 2015 New York Yankees activated RHP Masahiro Tanaka from the 15-day disabled list. May 21, 2015 New York Yankees sent RHP Masahiro Tanaka on a rehab assignment to Scranton/Wilkes-Barre RailRiders. April 28, 2015 New York Yankees placed RHP Masahiro Tanaka on the 15-day disabled list retroactive to April 24, 2015. Right wrist tendinitis and right forearm strain. September 21, 2014 New York Yankees activated RHP Masahiro Tanaka from the 60-day disabled list. September 2, 2014 New York Yankees transferred RHP Masahiro Tanaka from the 15-day disabled list to the 60-day disabled list. July 9, 2014 New York Yankees placed RHP Masahiro Tanaka on the 15-day disabled list. Right elbow inflammation. 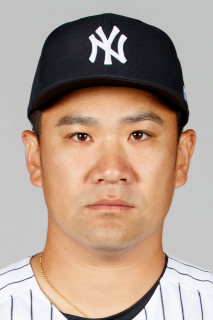 January 22, 2014 New York Yankees signed free agent RHP Masahiro Tanaka.